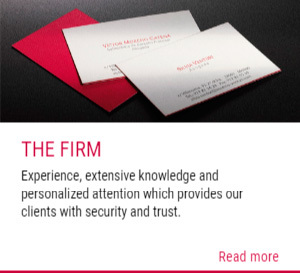 Our Firm´s team is made up from members with diverse academic backgrounds, ages and legal proficiency. It is a united multidisciplinary team that sums up expertise, academic prestige, seriousness, youth and flexibility. 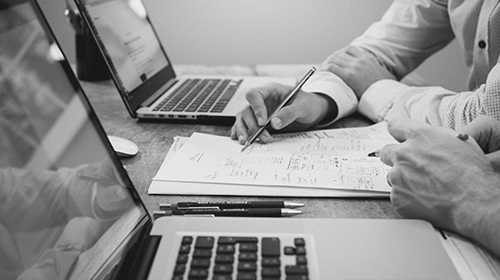 The way we work together allows us to do both the simplest and the complex cases including those that imply a great volume of work in an efficient way. And this is the reason for our Firm having among its clients individuals, companies, which either operate nationwide or engage in multinational operations, and other institutions. Although our main business is located in Spain, we do have a great network in different Latin American countries. This is why we are capable of servicing both American individuals and companies who want to do business in Spain and the Europeans who want to do so in Latin America. It is the aim of our Firm to eradicate the myth of the lawyers being the source for problems and complications. Our philosophy is to simplify situations and solve the inquiries brought to us, giving the maximum support to our clients. We always look for the solutions, not the problems. 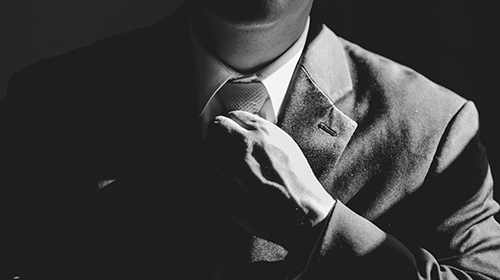 Advice and legal defence of companies and individuals in criminal proceedings, including, specially, white collar crimes. 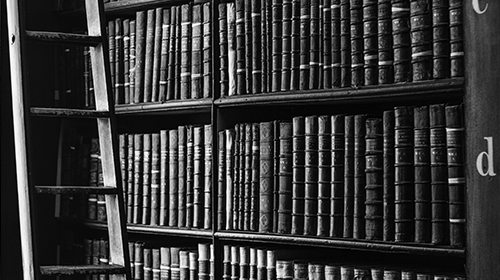 Advice and legal defence of companies and individuals in civil and commercial proceedings. 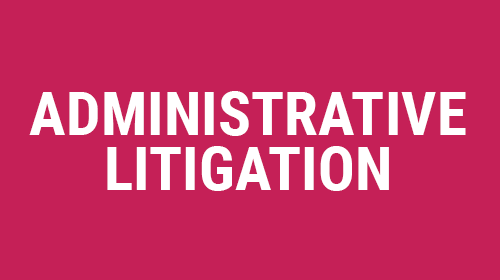 Advice and representation of companies and individuals in litigation against the Public Administration both in administrative and in court proceedings. 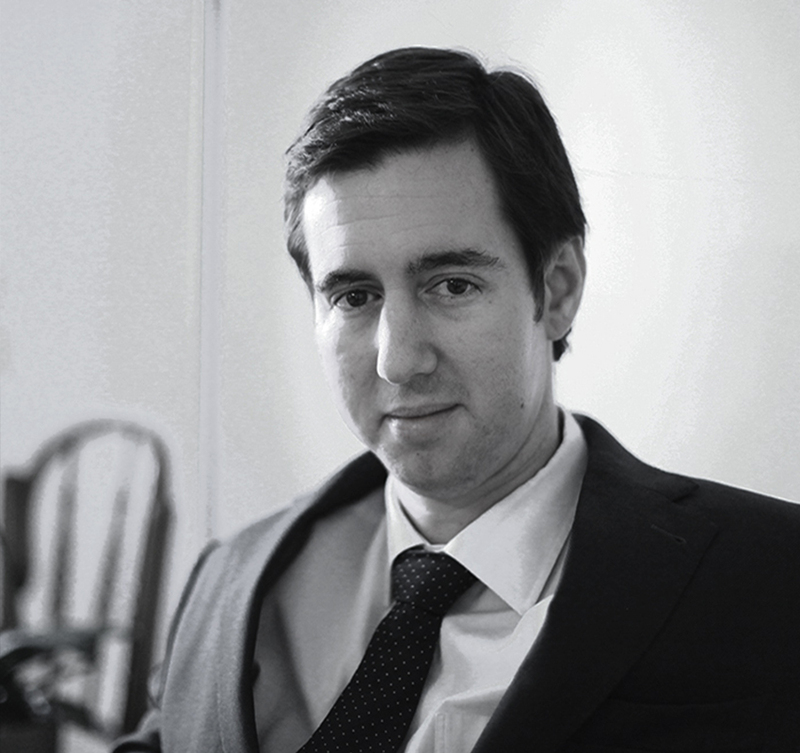 Víctor Moreno Catena was a founding partner of the Firm, and he currently acts as an Of Counsel of it. He has a great experience as a jurist, having being a professor in Litigation Law for more than 30 years. Practicing as a lawyer, he advised and led the legal defence of a large amount of companies –including listed companies- and individuals in the criminal, civil and contentious-administrative jurisdictions. For six years he was the Secretary General of the Ibero-American Countries Justice Ministers Assembly (COMJIB) and of IberRed, the Ibero-American International Justice Cooperation Network, being both conformed of the Judiciary, the Public Ministries and the Judicial Ministries of the 21 Ibero-American countries. 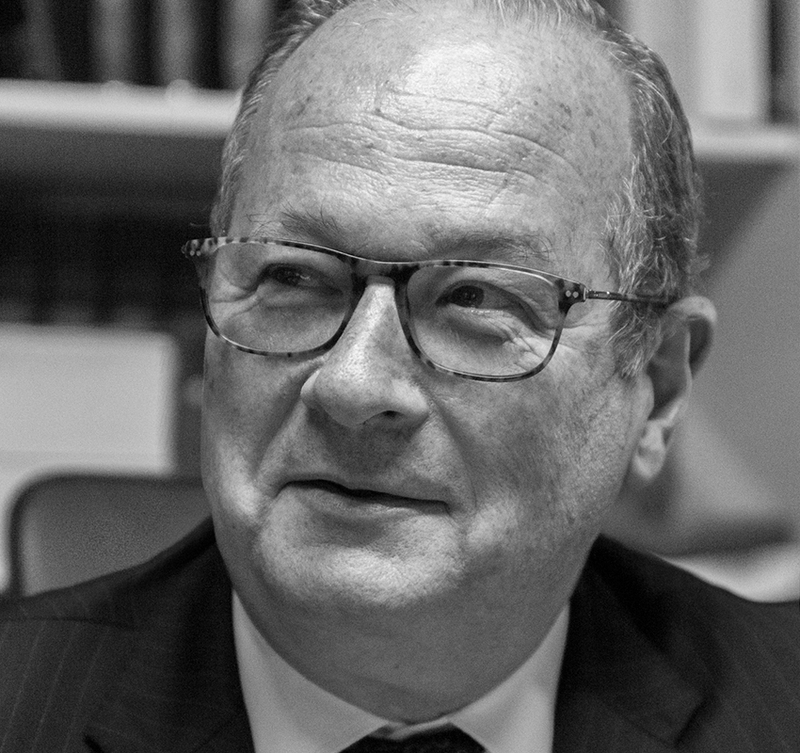 Víctor Moreno has been professor of Litigation Law at the University of Santiago de Compostela and the University of Seville, being currently Litigation Law professor at the University Carlos III of Madrid. He has directed more than 20 doctoral theses. He is a Visiting Professor at the University of Nanterre (Paris X) and Pantheón-Assas (Paris II). For more than 7 years Víctor has been, and continues to be, the director of the Master in Legal Advice for Corporations (LL.M.) at the Carlos III University of Madrid, and he recently implemented a Master in Legal Mediation at the same University. He founded the Legal Practice School of Santiago de Compostela, and started the Master in Legal Practice (LL.M.) of the Carlos III University of Madrid, which he directed during over 15 years. He is the founder and current President of the Spanish Union of Criminal Lawyers, a group conformed of the most prestigious criminal lawyers in Spain and which seeks to protect the interests of the defence right in Spain. Victor is a permanent member to the Spanish General Codification Commission since 1986. He has been named arbitrator by the Paris Chamber of Commerce and the Madrid Bar Association. 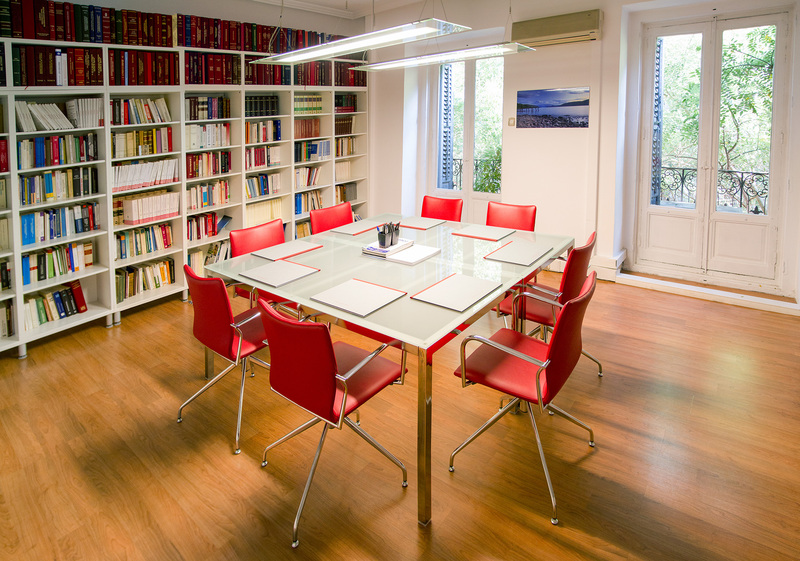 Víctor is member of the Ibero-American Procedure Law Institute; of the Pan-American Procedure Law Institute and the Spanish Foundation of Procedure Law. He is a member to the Publishing Board of prestigious scientific magazines such as Teoría y Derecho (Theory and Law); InDret; Revista Penal (Criminal Review); Práctica de Tribunales (Judicial Practice); El Consultor Inmobiliario (The Real Estate Consultant), and Revista General de Derecho Procesal (General Review of Procedure Law). He has published various individual monographs and over 20 collective books of the most diverse matters always related to Litigation Law, including (i) “The summary criminal proceedings” (“El proceso penal abreviado”, publisher: Tirant lo Blanch, 2004); (ii) the direction of “The criminal proceedings” (“El Proceso Penal”, publisher: Tirant lo Blanch, 2000) a work which includes 5 volumes; (iii) “Schemes of Procedural Law” (“Esquemas de derecho Procesal”), with a specific volume for Judicial Organization, Civil, Criminal, Labour and Public Litigation (publisher Tirante lo Blanch, 2005-2008); (iv) the “Judicial Organization Manual” (“Manual de Organización Judicial” publisher Tirant lo Blanch, 2ª ed., 2004); co-director for both (v) the “Exposition on the Civill Procedure Act” (“Exposición de la Ley de Enjuiciamiento Civil” publisher Tecnos, 2000), which includes 5 volumes; and (vi) “Practical Aspects of the Civil Procedure Act” (“La Ley de Enjuiciamiento Civil. Aplicación práctica”, publisher Tecnos, 2004), which includes 3 volumes. He is also co-writer, together with Professor Cortés Domínguez, of the manuals “Introduction to Procedure Law”, “Civil Procedure Law”, “Special Civil Proceedings” and “Criminal Procedure Law”. 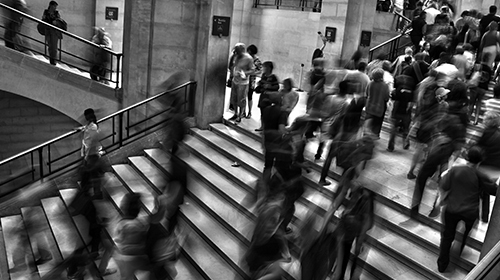 Advice in all areas of company law, Temporary Company Alliances (UTEs) and Joint Ventures. Legal reorganization of groups of companies. 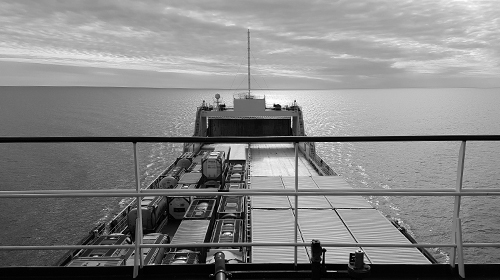 National and International Commercial Agreements. Legal defence in challenging of corporate agreements, Directors’ responsibility, conflicts between shareholders. 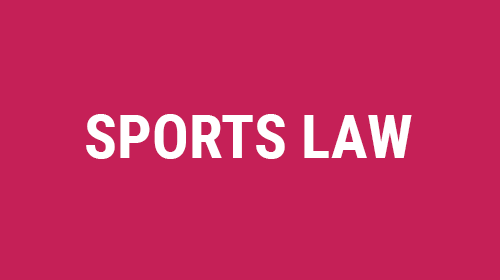 Legal advice to sports companies and institutions. Drafting of agreements on Advertising resources exploitation, Sponsorship, Marketing and Merchandising, events organization, exploitation and broadcasting of audiovisual and TV rights. Contracts for recruitment, release and transfer of sportsmen, exploitation of image rights. 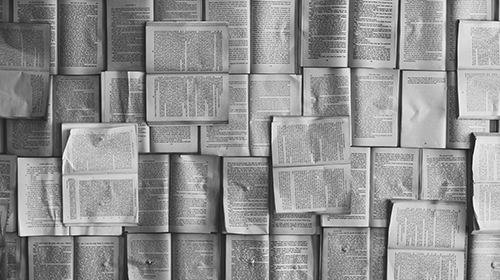 Legal advice and drafting of agreements on copyright exploitation, publishing agreements, audiovisual production, transfer of TV formats, contracts of sale of information content. Legal defence in court proceedings on intellectual property rights. 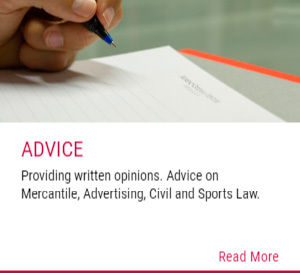 Drafting of advertising agreements, general advising with regard to conformity of advertising campaign with legal regulations. Drafting of Sponsorship agreements, transfer of advertising marketing rights, agency and commission agreements with regard to advertising and sponsorship. Advising and legal defence in court proceedings on Rights to Honour, Privacy and one’s own Image. 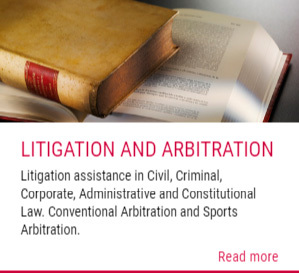 Contract law, conflicts due to infringement of obligations, debt recovery, actions for damages, commercial enforcements. 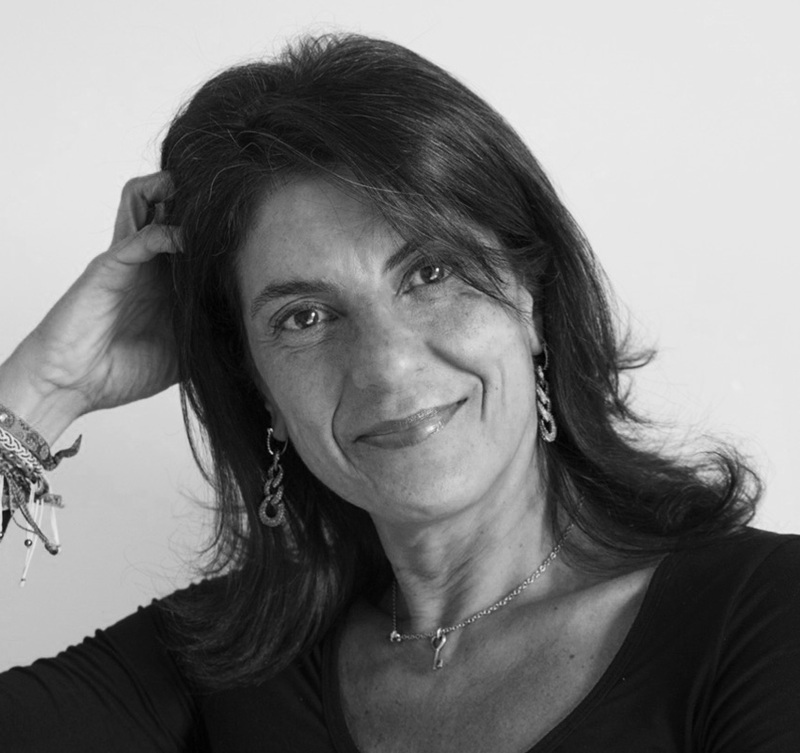 Silvia Venturi is a founding partner of the firm. Formerly she practiced as a lawyer in different law firms in Madrid, and as in house legal advisor in Grupo Zeta and Dalbergia group. Silvia has acted as a barrister in outstanding legal proceedings, including litigation on audiovisual and TV rights, and on breach of commercial agreements. Advising financial institutions and companies during the negotiation of financing agreements both in the ordinary course of business and in special situations, including restructuring solutions. And both in bilateral negotiations or within a pool of creditors and/or financial institutions. 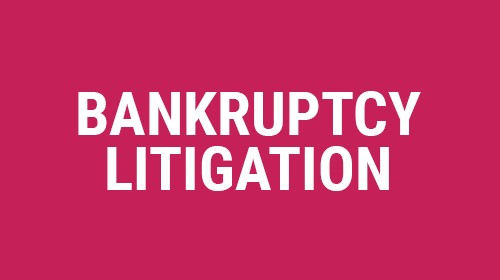 Advising companies and financial institutions in financial distressed situations, including pre-bankruptcy filings, both voluntary and necessary bankruptcy proceedings, filing and defense of incidental claims and negotiation of creditors agreements. 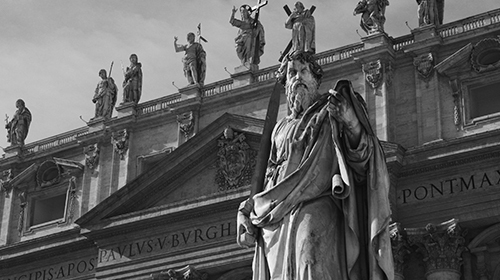 Judicial defense in companies conflicts, actions for payment and commercial enforcements, expropriations and defamation law. • Degree in Business Administration and Management (BA equivalent) – Universidad Carlos III de Madrid, Spain (2003). Jorge Moreno Coca is a partner of the firm since 2013. 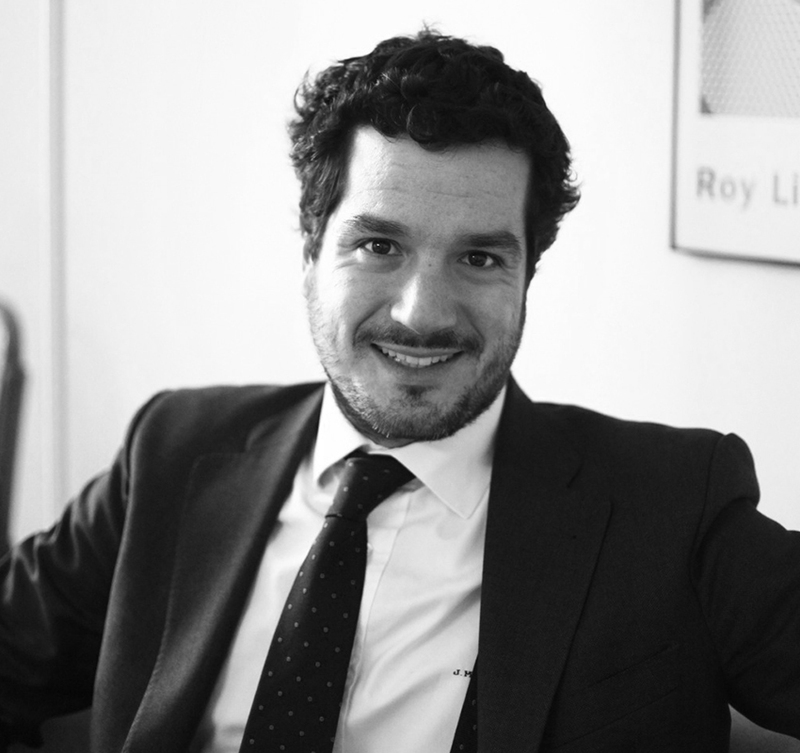 Prior to joining Moreno Catena & Venturi, he was a consultant for Accnture Financial Services with assignments in different European and Latin American countries. He has practiced law in the Madrid office of Simmons & Simmons and as an in house counsel for Barclays Bank in Spain, focusing on the corporate book of the Bank, and, most precisely in its Restructuring and Recoveries department. 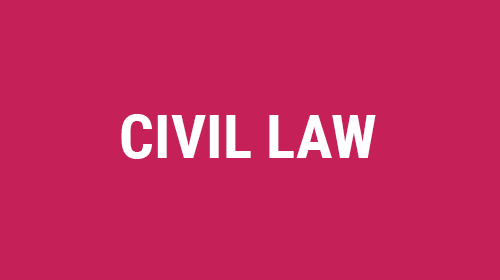 “Limits to the alienation power of the parties within the civil proceedings. 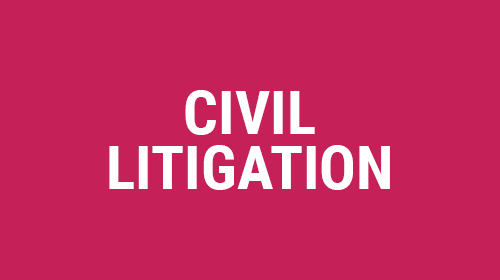 Civil Procedure issues within proceedings regarding to a takeover bid” (“Límites al poder de disposición de las partes en el proceso civil. Cuestiones procesales civiles en pleitos surgidos a raíz de una OPA”), paper included in the 2009 Litigation Yearbook for Lawyers (Anuario Contencioso para Abogados 2009) (published in La Ley 2009), and was written together with Mr. Fernando Aizpún Viñes. “The public activity within Germany’s energy sector” (“La actividad administrativa en el sector energético alemán”), paper included in the Regulatory Treaty of the Electricity Sector (Tratado de Regulación del Sector Eléctrico) (published in Aranzadi 2008), this particular paper deals with major aspects of the public regulation of Germany’s energy sector, and was written together with Mr. Luis Felipe Castresana Sánchez, Mr. Michael Bormann and Mrs. Gabriele Braband. 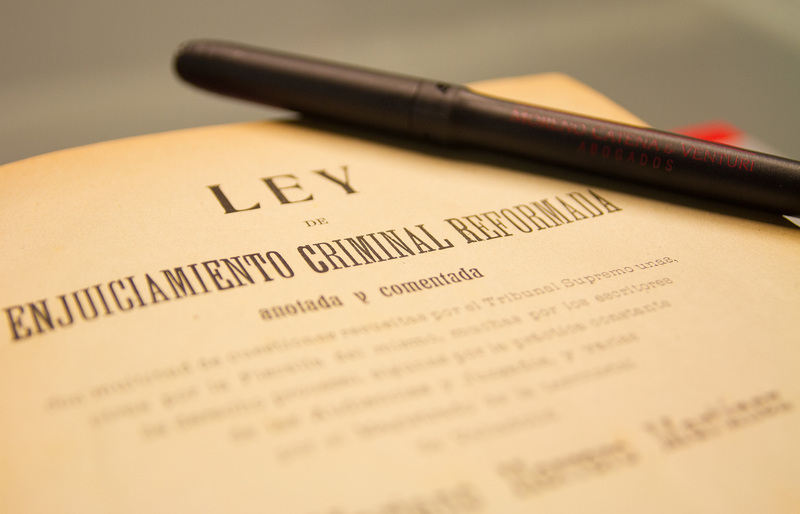 Advice and legal defence in criminal proceedings on crimes against property and socioeconomic order, against town and country planning and Public Administration, as well as crimes against workers’ rights. Advice and legal defence in Horizontal Property, obligations and contracts, as well as matrimonial proceedings. 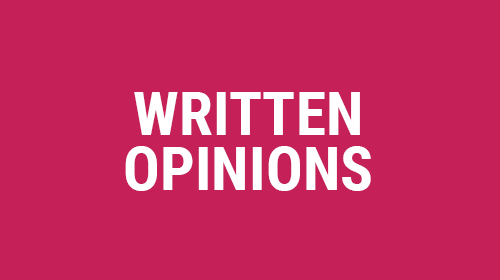 Legal advice regarding Data Protection and Privacy Policies. 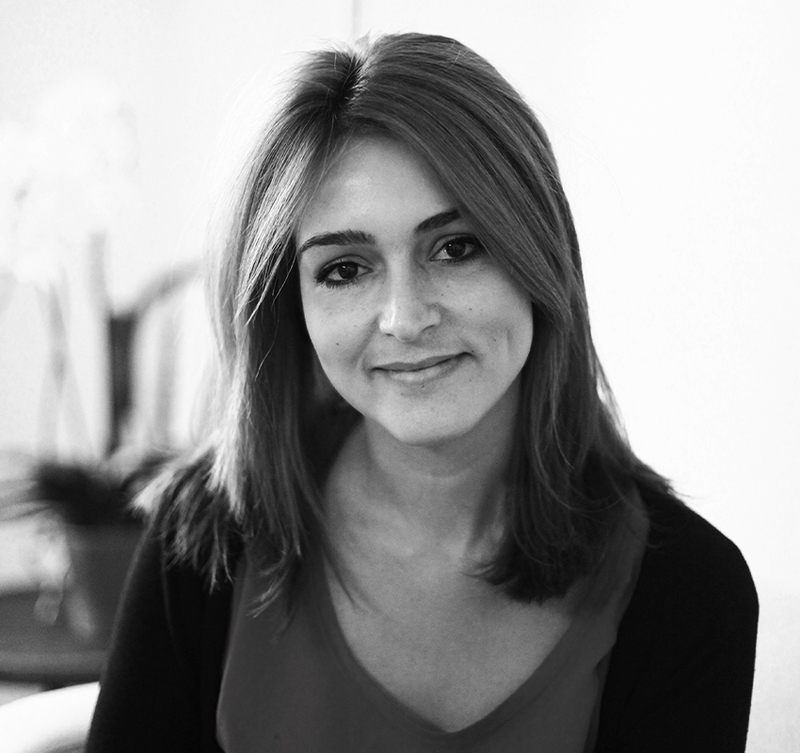 Eva joined the firm in January 2009. Prior to that she had been collaborating with the Litigation Law Department at Universidad Carlos III in Madrid. Advice on different Corporate Law issues, challenging corporate agreements, director’s liability, bylaws, approval and registration of annual accounts. Advice and legal defence in claims for payment, civil liability, defamation, inheritances and filiation. Francisco joined the firm in 2011. Prior to that he had been practising law in different Madrid and Seville firms. Advice and legal defence in criminal proceedings specialising in offences against property and social-economic order, against Exchequer and the Social Security, against the rights of workers, against the Public Administration, felonies on forgery and felonies against honour and privacy, the right to personal dignity and the inviolability of the dewlling. Advice and legal defense in claims of quantity, and defamation law. • Degree in Law and Political Sciences, Universidad Carlos III, 2011. • Master Financial Criminal Law, Universidad Rey Juan Carlos-KPMG, 2015. 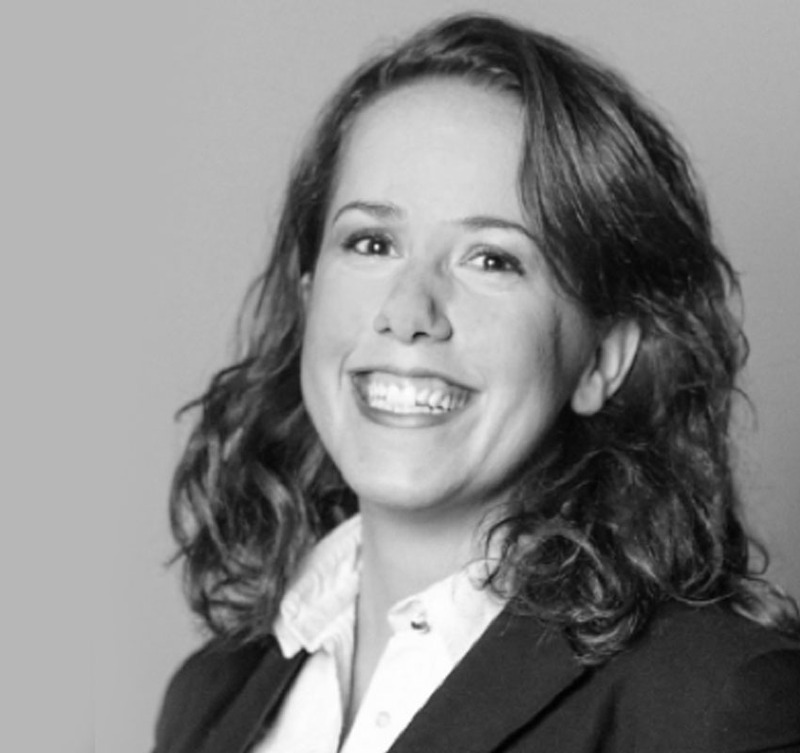 Blanca Noarbe joined the firm in September 2017. Prior to that she had been practising Criminal Law and Litigation at different Spanish law firms. Any kind of disputes between companies. 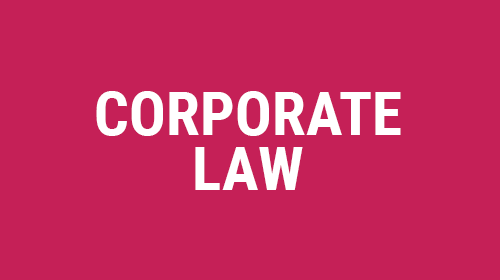 Corporate actions against directors, challenge of corporate bylaws. All kinds of Commercial Litigation. Claims relating to in rem rights. Proceedings with regard to Family Law. Actions in connection to the Right to Honour, to Personal Privacy, and to one’s Dignity. 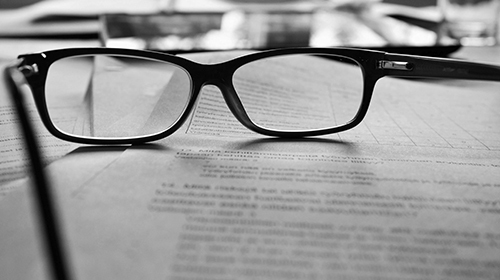 Actions in order to defend Intellectual Property Rights. 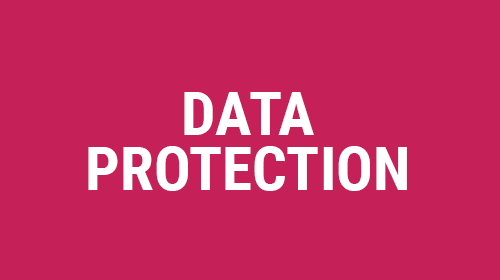 Claims and legal defence in administrative and judicial proceedings in relation to Personal Data Protection. Proceedings regarding Joint Real Estate Ownerships (Horizontal Property). 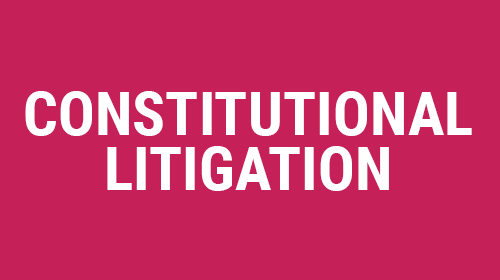 Proceedings before the Administrative Courts, including enforcement actions. 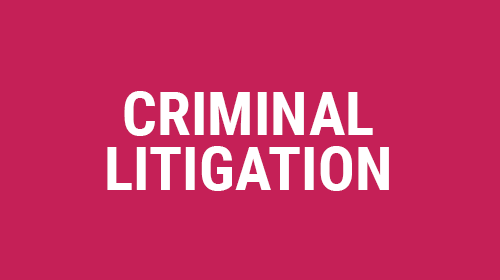 Legal defence in crimes against the property, the estate and the socioeconomic order, against urban development and the Public Bodies, as well as crimes against workers’ rights. 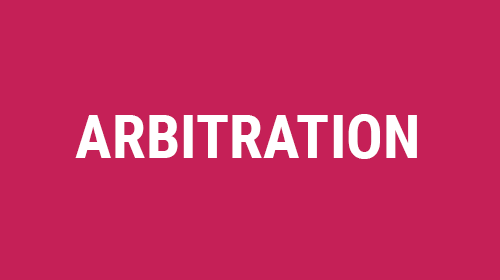 Representation and defence of clients in disputes before Institutional Arbitration Courts (including, without limitation, the Spanish Arbitration Court, the Arbitration Court of the Madrid’s Chamber of Commerce, the Civil and Commercial Arbitration Court, the Arbitration Court of Madrid, the Madrid Bar Arbitration Court). Appeals before the Constitutional Court (Recurso de Amparo). 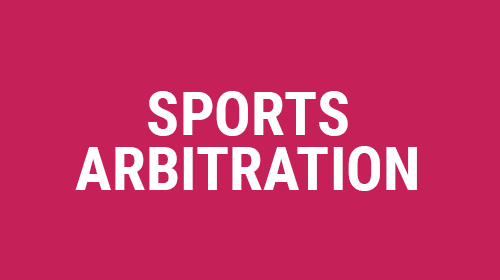 Representation before National Sports Courts (Spanish Sports Arbitration Court of the Spanish Olympic Committee, Football Court Arbitration of the Spanish Professional National Football League, Jurisdictional and Conciliation Committee of the Spanish Royal Football Federation, Competition Committee and Spanish Sporting Discipline Committee). Representation before International Sports Courts (TAS-CAS). Application for voluntary or necessary insolvency. 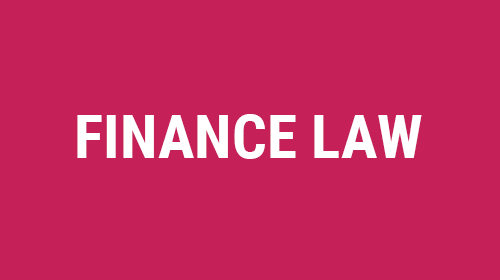 Advice during the Common Phase of the insolvency (incidents –credit recognition and qualification-, Mandatory Enforcements within the proceedings and/or Pre-Creditors Agreement). 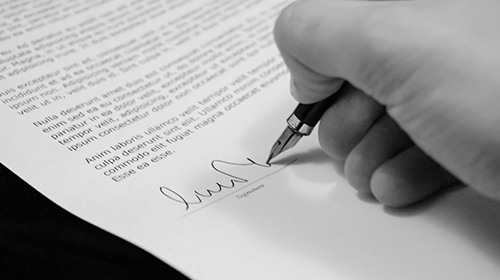 Agreements between Companies and Individuals. 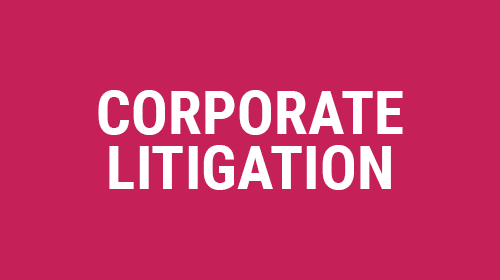 Incorporation and Legal Management of Companies and Associations. 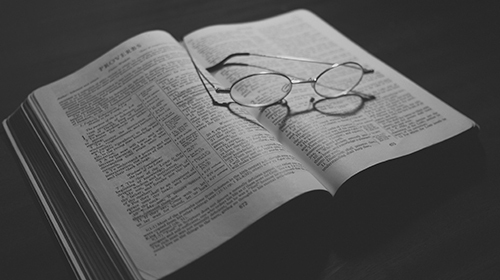 Agreements relating to Intellectual Property. 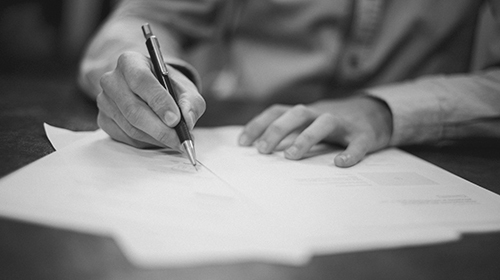 Issuance of written advices, as memorandums and/or legal opinions, in all of the Firm’s competence areas. Drafting and Negotiation of Bilateral and Syndicated Facilities. 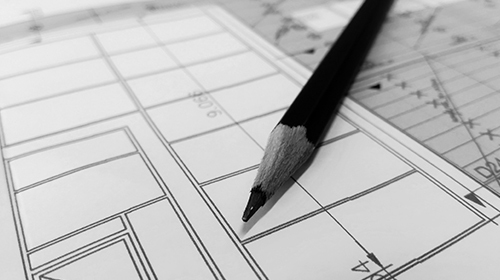 Drafting and Advice on Project Finance Agreements. Advice on Derivatives and Financial Hedging Instruments, in general. Negotiated Exit Strategies in Special Situations (Debt for Assets Swap, Debt for Equity Swap, etc.). Reorganization of groups of companies. Restructuring and refinancing of companies. 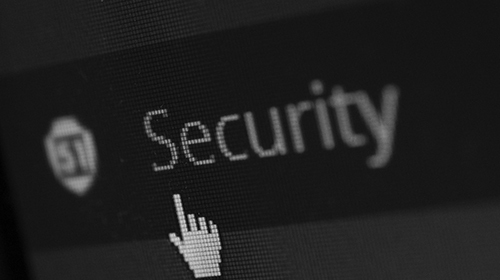 Advice on Information Duties and obtaining the Informed Consent for the Registration of Files in the Spanish Data Protection Agency. Mailing of Marketing Communications through Electronic Means and Data Storage Devices. 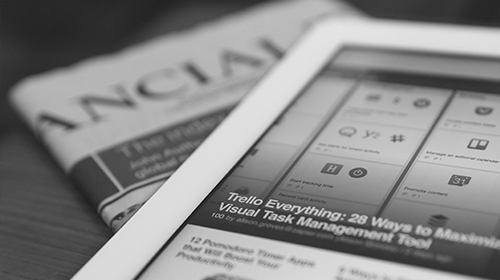 Advice on the Use and Transfer of Personal Data, and Legal Obligations on Security Measures. 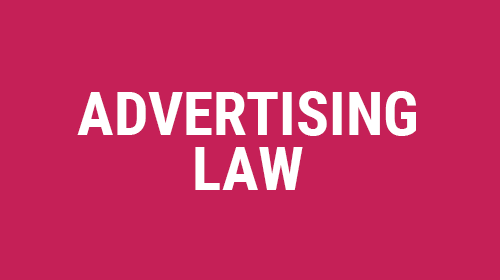 Compliance of Advertising Campaigns to the Legal Framework. Agreements and Management of Sponsorships. Assignment of Marketing and Sponsorship Rights. Agency and Commission in relation to Advertising and Sponsors. 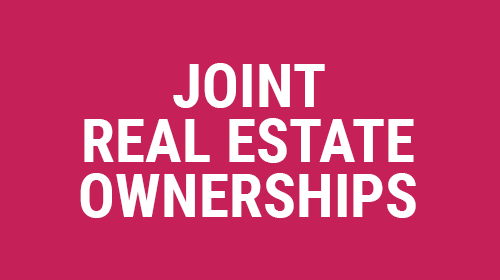 Advice on the Legal Framework on Joint Real Estate Ownerships (Horizontal Property), Agreements among Joint Owners and Conflicts between the Owners of a Condominium. 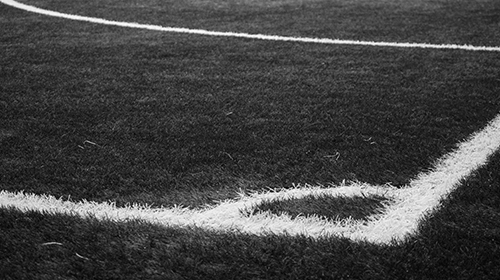 Advising Sports Institutions and Entities. Recruitment, Assignment and Trading of Athletes. Representation of Athletes. Exercise of Image Rights (Royalties). Exercise and Management of Audio-visual rights. DEL SITIO WEB DE MORENO VENTURI ABOGADOS, S.L. 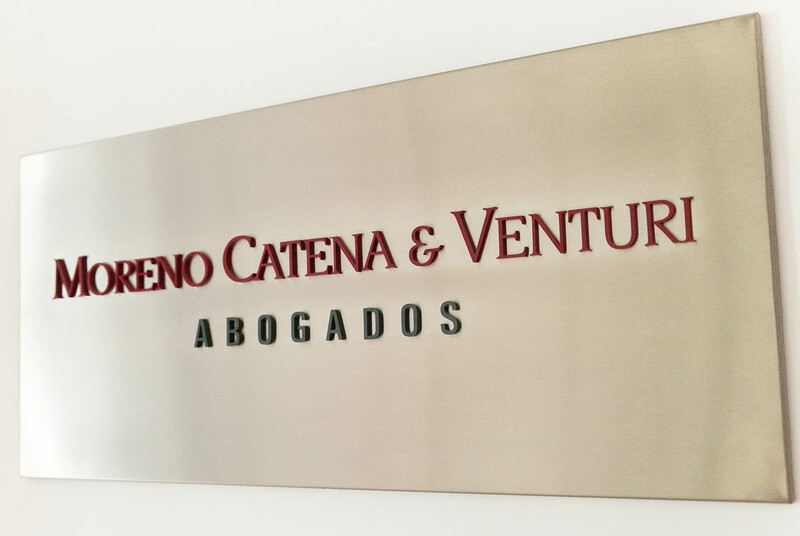 MORENO VENTURI ABOGADOS, S.L. es una compañía mercantil de nacionalidad española domiciliada en la calle Villanueva, nº 33 – 2º dcha. 28001 Madrid, con C.I.F. B85706281 e inscrita en el Registro Mercantil de Madrid al Tomo 26819, folio 170, hoja número M-483261. morenocatena-venturi.com y moreno-venturi.com son dominios en Internetcuya titularidad corresponde a MORENO VENTURI ABOGADOS, S.L.y que contienen la página o el sitio web al que se accede a través de las URL https://moreno-venturi.com y http://morenocatena-venturi.com.Los datos generales de contacto son la dirección de correo electrónico morenoventuri@moreno-venturi.com y el número de teléfono (+34) 917 81 34 28. Las presentes Condiciones Generales regulan el acceso y el uso del sitio web de MORENO VENTURI ABOGADOS, S.L. Toda persona que acceda a este sitio web, acepta someterse a las Condiciones Generales vigentes en cada momento sin reserva alguna. Si no está de acuerdo con alguna de las condiciones contenidas en este aviso, deberá dejar de utilizar la página web de MORENO VENTURI ABOGADOS, S.L. MORENO VENTURI ABOGADOS, S.L. se reserva el derecho de modificar, en cualquier momento y sin necesidad de previo aviso, las presentes Condiciones Generales o las Condiciones Particulares que pudieran establecerse en cada momento en relación con algún contenido específico. 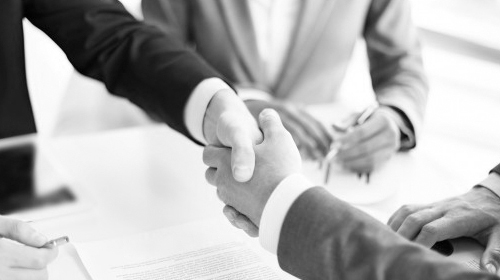 El sitio https://moreno-venturi.com – en adelante EL SITIO – no constituye una fuente de asesoramiento jurídico ni un medio para establecer una relación profesional ni de ningún otro tipo entre cliente y abogado. El uso de EL SITIO tendrá carácter gratuito, sin perjuicio del coste de conexión a través de la correspondiente red de telecomunicaciones que tendrá que soportar cada usuario para acceder a él. El usuario es consciente y acepta voluntaria y expresamente que el uso de EL SITIO se realiza en todo caso bajo su única y exclusiva responsabilidad. En la utilización de EL SITIO, el usuario se compromete a no llevar a cabo ninguna conducta que pudiera dañar la imagen, los intereses y los derechos de MORENO VENTURI ABOGADOS, S.L. o de terceros o que pudiera dañar, sobrecargar, mermar o impedir el normal uso de EL SITIO. MORENO VENTURI ABOGADOS, S.L. adopta medidas de seguridad razonablemente adecuadas para detectar la existencia de virus. No obstante, MORENO VENTURI ABOGADOS, S.L. no puede garantizar la invulnerabilidad absoluta de sus sistemas de seguridad, por lo que excluye cualquier tipo de responsabilidad por daños y perjuicios de toda naturaleza que puedan deberse a la presencia de virus u otros elementos que puedan producir alteraciones en el sistema informático (software y hardware), documentos electrónicos y ficheros del usuario o de cualquier tercero. MORENO VENTURI ABOGADOS, S.L. no es responsable de los fallos que se puedan producir en las comunicaciones, no garantizando la disponibilidad y continuidad del funcionamiento de su sitio web, ni la posible inexistencia de interrupciones o errores en el acceso a la página web o a su contenido. Los contenidos de EL SITIO son puestos a disposición del usuario por MORENO VENTURI ABOGADOS, S.L. con información procedente tanto de fuentes propias como de terceros. La inclusión de contenidos enEL SITIO tiene carácter meramente informativo y no constituye en modo alguno la prestación de un servicio de asesoramiento jurídico. MORENO VENTURI ABOGADOS, S.L. se reserva el derecho de modificar, en cualquier momento y sin necesidad de previo aviso, la presentación, configuración y contenidos de EL SITIO. Salvo indicación expresa, el contenido de la página web, imágenes, textos y datos, son propiedad de MORENO VENTURI ABOGADOS, S.L., así como su código fuente, diseño y estructura de navegación. Corresponde a MORENO VENTURI ABOGADOS, S.L. el ejercicio exclusivo de los derechos de explotación de los mismos en cualquier forma, y en especial los derechos de reproducción, distribución, comunicación pública y transformación. Todo este material está protegido por la legislación de la propiedad intelectual y su uso indebido puede ser objeto de sanciones, incluso penales, por lo que el usuario deberá respetar en todo momento todos los derechos de propiedad intelectual e industrial sobre EL SITIO, titularidad de MORENO VENTURI ABOGADOS, S.L. La consulta o descarga de contenidos de la página web de cualquier software no implicará la cesión de ningún derecho de propiedad intelectual o industrial sobre los mismos. El usuario y, en general, cualquier persona física o jurídica que se proponga establecer un hiperenlace o dispositivo técnico de enlace desde su sitio web a EL SITIO deberá obtener una autorización previa y por escrito de MORENO VENTURI ABOGADOS, S.L. El establecimiento del hiperenlace no implica en ningún caso la existencia de relaciones entre MORENO VENTURI ABOGADOS, S.L. y el propietario del sitio o de la página web en la que se establezca el hiperenlace, ni la aceptación o aprobación por parte de MORENO VENTURI ABOGADOS, S.L. de sus contenidos o servicios. En todo caso, MORENO VENTURI ABOGADOS, S.L. se reserva el derecho de prohibir o inutilizar en cualquier momento cualquier hiperenlace a EL SITIO, especialmente en los supuestos de ilicitud de la actividad o contenidos del sitio web en el que se incluye el hiperenlace. EL SITIO pone a disposición del usuario, únicamente para la búsqueda de, y acceso a, la información, contenidos y servicios disponibles en Internet, hiperenlaces o dispositivos técnicos de enlace, que permiten al usuario el acceso a sitios o portales de Internet pertenecientes a o gestionados por terceros. MORENO VENTURI ABOGADOS, S.L. no ofrece ni comercializa por sí ni por medio de terceros la información, contenidos y servicios disponibles en los sitios enlazados, ni aprueba, supervisa o controla en modo alguno los contenidos y servicios y cualquier material de cualquier naturaleza existente en los mismos, asumiendo el usuario de manera exclusiva toda la responsabilidad de la navegación a través de los mismos. Asimismo, MORENO VENTURI ABOGADOS, S.L. no garantiza la ausencia de virus u otros elementos en los sitios enlazados que puedan producir alteraciones en el sistema informático (hardware y software), en los documentos o los ficheros del usuario, excluyendo cualquier responsabilidad por los daños de cualquier clase causados al usuario por este motivo. Por el mero hecho de visitar EL SITIO no queda registrado de forma automática ningún dato de carácter personal que identifique a un usuario. Sin embargo, existe determinada información de carácter no personal y no identificable con un usuario concreto que se recoge y queda grabada en los servidores de Internet de MORENO VENTURI ABOGADOS, S.L. (por ejemplo, tipo de navegador de Internet del usuario, sistema operativo del usuario, dirección IP desde la que se accede a la página web de EL SITIO) con el objeto de mejorar la navegación del usuario y la gestión de EL SITIO. Estas Condiciones Generales se rigen por la Ley española, siendo el fuero competente para la resolución de cualquier controversia que pudiera derivarse del acceso o uso de EL SITIO los Juzgados y Tribunales de la ciudad de Madrid (España). En aplicación del Reglamento (UE) 2016/679 del Parlamento Europeo y del Consejo de 27 de abril de 2016 relativo a la protección de las personas físicas en lo que respecta al tratamiento de datos personales y a la libre circulación de estos datos (en adelante, el Reglamento general de protección de datos o “RGPD”), así como de la normativa de desarrollo que del mismo se pueda derivar, queremos informarle sobre ciertos aspectos relativos al tratamiento de sus datos que llevaremos a cabo como consecuencia de su navegación en nuestra página web, ysobre los derechos que le asisten. Los datos personales que nos proporcioneserán conservados mientras nuestra relación mercantil continúe vigente. En todo caso, cuando los datos personales no sean necesarios para el fin para el que fueron recabados y mientras no se proceda a la cancelación definitiva de los mismos, se conservarán de forma bloqueada. La relación entre el cliente y su abogado se fundamenta en la confianza y la integridad. Por ello, el artículo 5 del Código Deontológico de la Abogacía Española instaura el secreto profesional como un derecho y deber de los Abogados con sus clientes. Este derecho y deber se extiende a la protección de los datos personales que usted nos proporcione. Salvo los órganos judiciales encargados de conocer sobre la defensa de los derechos que usted nos haya encomendado, sus datos no serán comunicados a ninguna otra persona, siempre y cuando usted no haya dado su expreso consentimiento para ello o el tratamiento no sea necesario para ejecutar su relación mercantil,satisfacerlos intereses legítimos y/o vitales del interesado o cuando MORENO VENTURI ABOGADOS esté contractual o legalmente obligado a facilitarlos. Los datos de carácter personal que utiliza MORENO VENTURI ABOGADOSproceden del propio interesado. En el caso de que algún cliente nos proporcione datos de carácter personal de terceras personas, el cliente nos garantiza que les ha informado con carácter previo a su inclusión, de los extremos contenidos en la presente Política de Privacidad, respondiendo personalmente frente a MORENO VENTURI ABOGADOS de cuantos daños y perjuicios puedan derivarse en caso de contravención. De manera enunciativa y no limitativa, los datos personales tratados por MORENO VENTURI ABOGADOS son datos identificativos, de información comercial, bancarios y de transacciones de bienes y servicios, datos relativos a la salud o datos de condenas o infracciones penales y/o administrativas. En cualquier caso, sus datos serán tratados con un nivel de protección de acuerdo a las normas aplicables sobre Protección de Datos y no se someterán a decisiones automatizadas.